The method below is used to test the accelerators in the first three scenes. Installation of the Windows NT 4.0 (or Windows 2000 Professional) on a blank hard drive. Installation of all Service Packs up to 6 for Windows NT 4.0 or Service Pack 2 for Windows 2000. 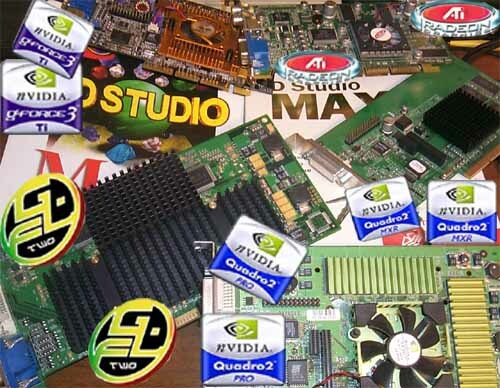 Installation of drivers of an accelerator and a mainboard of the computer. Installation of the 3D MAX 3.1 in a standard configuration. 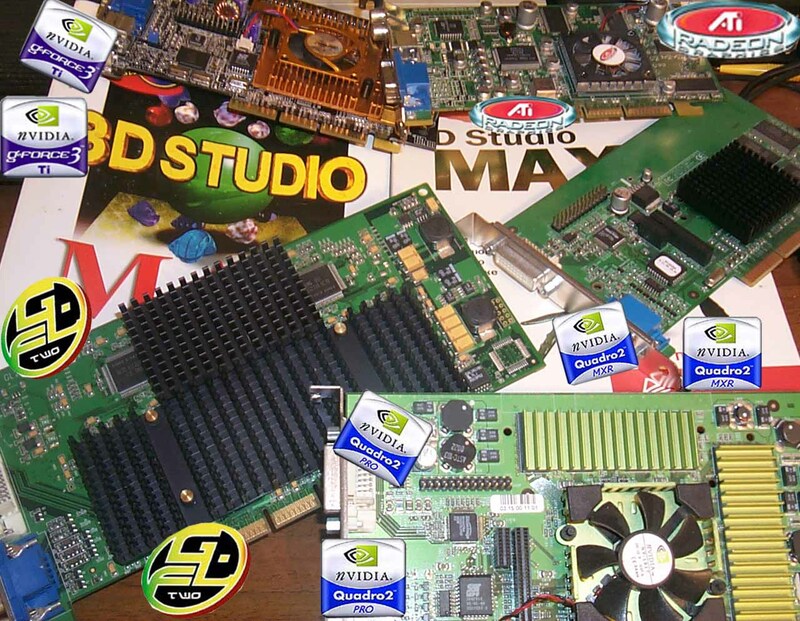 Start-up of the 3D MAX and of one hardware APIs (OpenGL). Loading of the first demo scene. The test consists of several stages: estimation of quality and stability of operation, estimation of performance in working windows in different shading modes and at different rendering speeds. (To change a viewing mode we use a screen configuration menu which can be displayed by pressing the right button on a mark in any upper left-hand corner of any of 4 viewport windows). Viewing of a scene in a full window in the following modes: wireframe, smooth+highlights with textures off, smooth+highlights with textures on and correction off, and smooth+highlights with textures on and correction on. The camera is turned to move and turn objects. We record subjective estimation of an operating speed, smoothness of motion of objects, a speed of redrawing of the scene while objects are moving, and take screenshots. 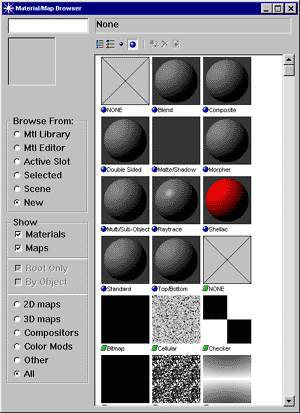 Subjective estimation of a speed and quality of operation with 4 viewport windows activated in the following modes: wireframe, facets, smooth+highlights and smooth+highlights with textures and correction (each window has its own mode). We also estimate a speed of drawing of the changes in each window while objects are moving or the camera is rotating. Screenshot. 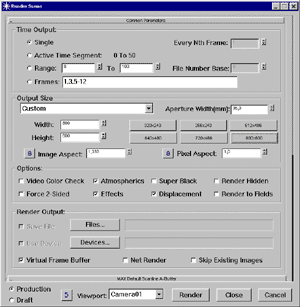 Rendering of an image into files: 320X240 and 800X600, and recording of the rendering time. 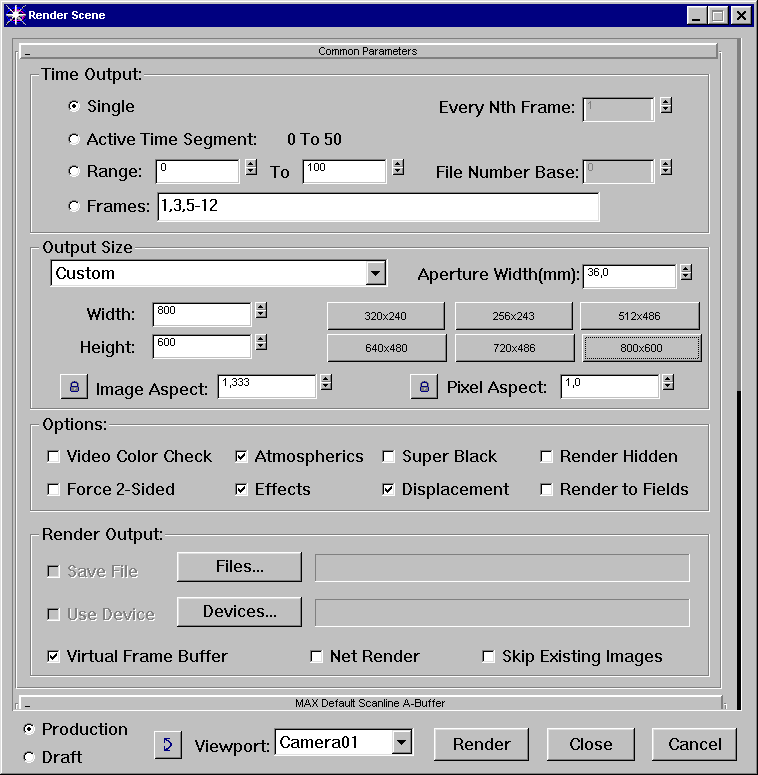 Before it, a scene must be reloaded as changes in coordinates of the objects or of the camera can affect a rendering speed. Estimation of an opening speed of the materials in full while the library is scrolled. Test #1. Viewing of the animation in the preliminary mode in a full window. Wireframe mode. We estimate smoothness of the animation, check whether any frames are skipped, and record an average FPS of the scene. Test #2. The same as item 11, but in the facets mode. Test #3. The same as item 11, but in the smooth+highlights mode. Test #4. The same as item 11, but in the 'smooth+highlights with textures and correction' mode. Test #5. Viewing of animation in the preliminary mode in 4 viewport windows. Windows are the same as in item 8. The wireframe window is animated. We estimate smoothness of the animation, check whether any frames are skipped, and record an average FPS of the scene. Test #6. The same as item 15, but now the facets window is animated. Test #7. The same as item 15, but now the smooth+highlights window is animated. Test #8. The same as item 15, but now the "smooth+highlights with textures and correction" window is animated. Changing of a screen resolution for the higher one without leaving the 3D MAX to check whether the 3D MAX remains operable. Repeat of items 6-15 with the next demo scene. When all tests are carried out (items 6-20) with all demo scenes we carry out the same analyses (items 5-20) on other APIs (if they are supported by the accelerator's drivers). Analyses of the obtained data. The testing method for the fourth and fifth scenes is simpler - a scene is viewed under all APIs, but we estimate only an average FPS and quality of the scene.